Discover Bali’s most breathtaking and luxurious hotels across the tropical island paradise in The Asia Collective’s exclusive guide to the best luxury hotels in Bali. 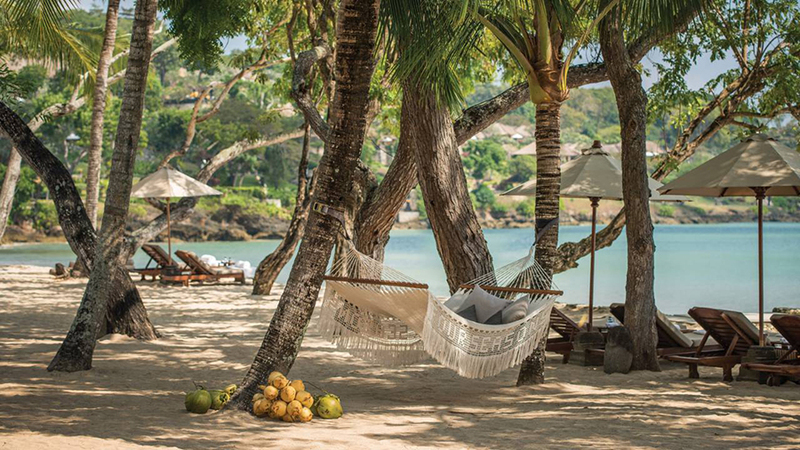 Featuring Bali’s most exclusive resorts found in breathtaking settings along soaring cliff-fronts, amongst serene rice fields, and on pristine white sand beaches, our travel guide to the Best Luxury Hotels in Bali has your upcoming island getaway covered! 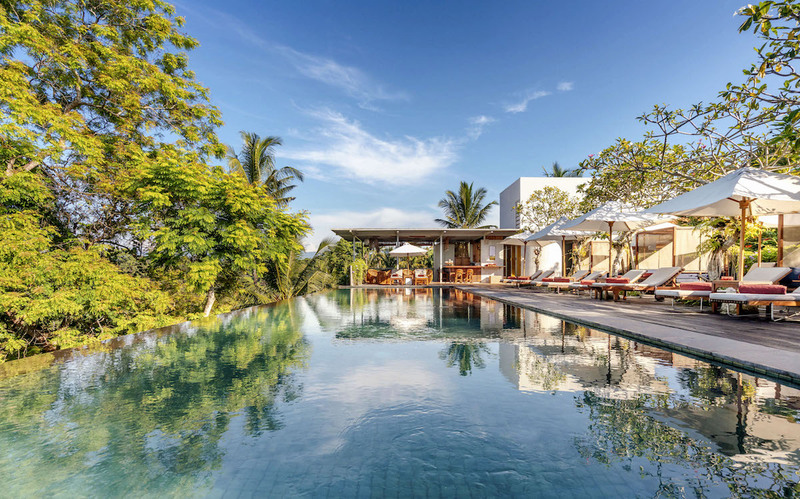 Get inspired with our ultimate guide to Bali’s most luxurious resorts where your understanding of exceptional hospitality will be redefined – get in touch with our experienced stay curators now to book one of the best luxury hotels in Bali! 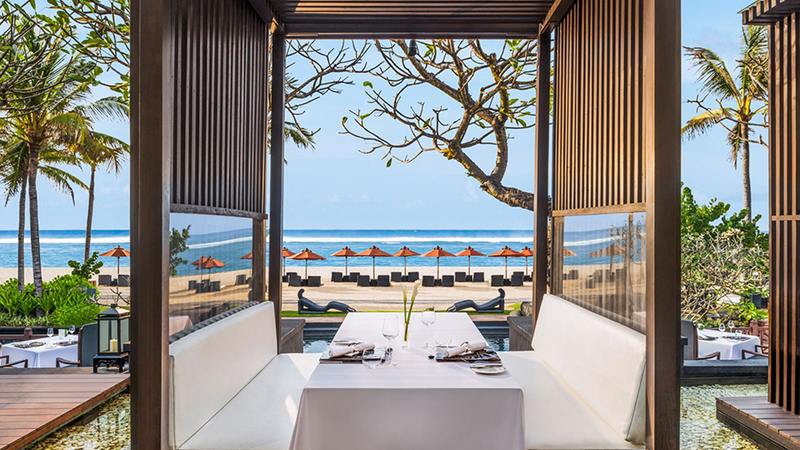 The Bvlgari Resort Bali beautifully combines its stunning natural surroundings with a tropical expression of luxe oriental influence and contemporary design. The exclusive resort features sophisticated interior designs with elements of rich exotic accents combined with refined fabrics and antique Balinese art throughout the property. With only five exclusive properties worldwide (and selected destinations following), a stay at the renowned luxury brand is an unforgettable experience for the discerning traveller. 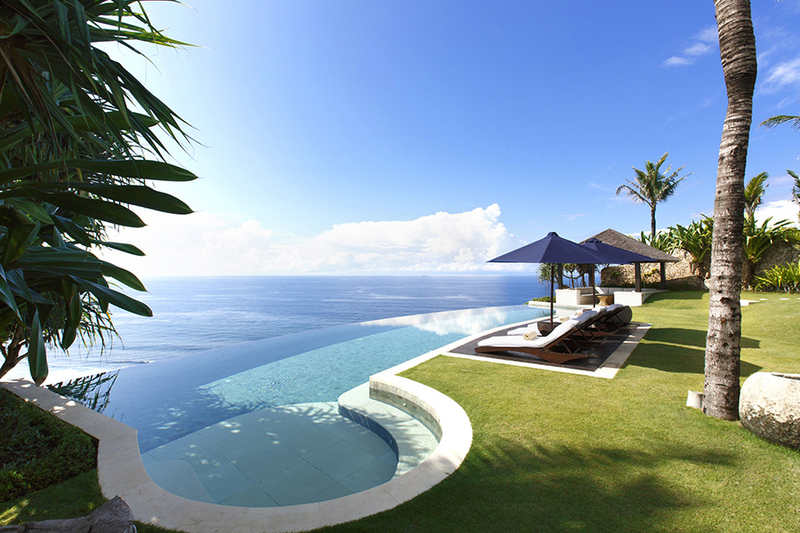 The luxury Uluwatu resort features One and Two Bedroom Villa options, alongside Two and Five Bedroom Mansion options each with their own garden, private pool, lounge area, central indoor living area, and incomparable ocean views. 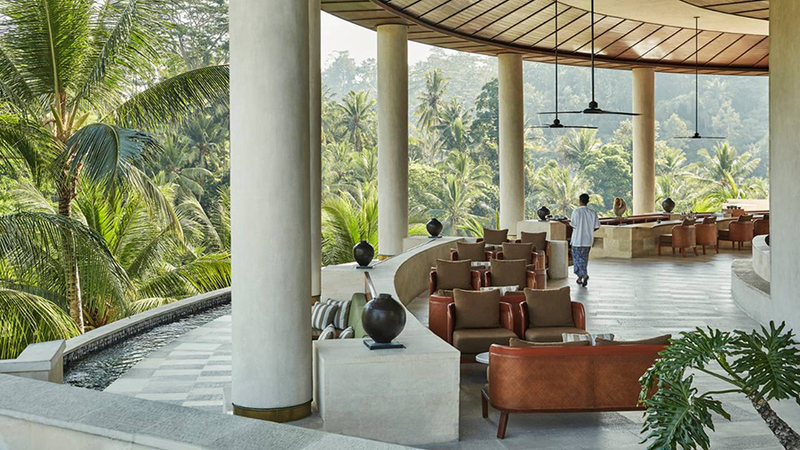 The Bvlgari Resort Bali is a truly unique destination that should be experienced firsthand. 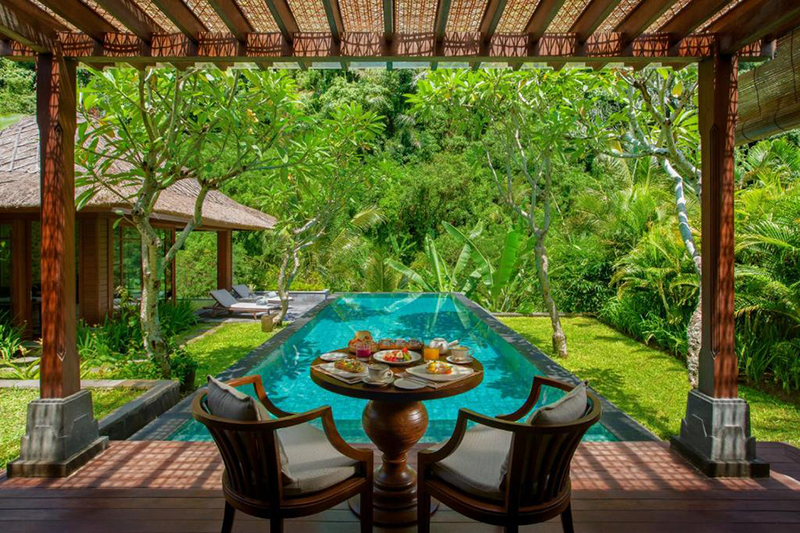 Prices for this luxury hotel in Bali start at US $667++ per night for a 1-bedroom villa, US $1,485++ per night for a 2-bedroom villa, and US $3,000++ per night for a 3-bedroom villa. Click for best available prices. Step foot into one of the most luxurious tropical destinations in Bali, a relaxing oasis perched on the clifftops. The Ungasan showcases aqua clear water, pristine white sands and has you surrounded by balmy palms overhead. Experience pure privacy in your own private pool villa and treat yourself to in-room services with your own private butler. With world-class dining at their Selatan Restaurant, you won’t have to venture far for an indulgent meal. Escape to a secluded one-bedroom villa with that special someone or plan a group getaway with those close to you in the expansive five-bedroom villa, the choice is yours. Experience your own slice of paradise at Sundays Beach Club in the most picturesque beachfront location, accompanied by scattered rock pools and crystal-clear waters. 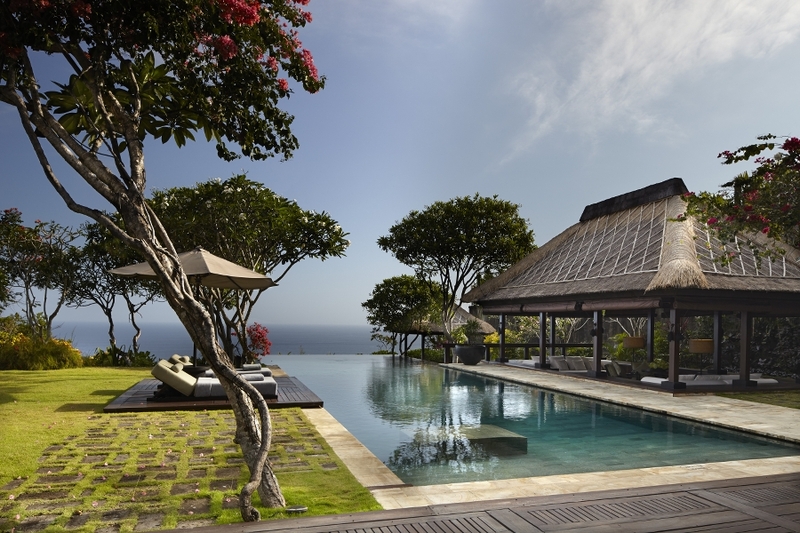 Prices for this luxury hotel in Bali start at US $716++ per night for a 1-bedroom villa. Click for best available prices. Sprawled across the stunning white-sand beachfront of Nusa Dua along Bali’s south coast lies the St. Regis Bali Resort which is one of the best luxury hotels in Bali. Complemented by panoramic ocean views, a myriad of premier luxury suites and villas, and impeccable service tailored to your individual needs, this luxurious Bali resort is perfect for your next romantic getaway or tropical family escape! Retreat to your own private sanctuary after a day of sun lounging to enjoy your beautiful, spacious villa grounds and dedicated service while soaking in stunning views of the azure blue ocean, garden, or pool area. Make your way to the villa’s private balcony or terrace and watch the sunset with a glass of wine and the latest bestseller – pure holiday perfection! Prices for this luxury hotel in Bali start at US $410++ per night for a 1-bedroom suite, US $703++ per night for a 2-bedroom suite, and US $1,688++ per night for a 3-bedroom suite. Private 1-3 Bedroom villas range between US $790++ per night and US $4,310 per night. Click for best available prices. 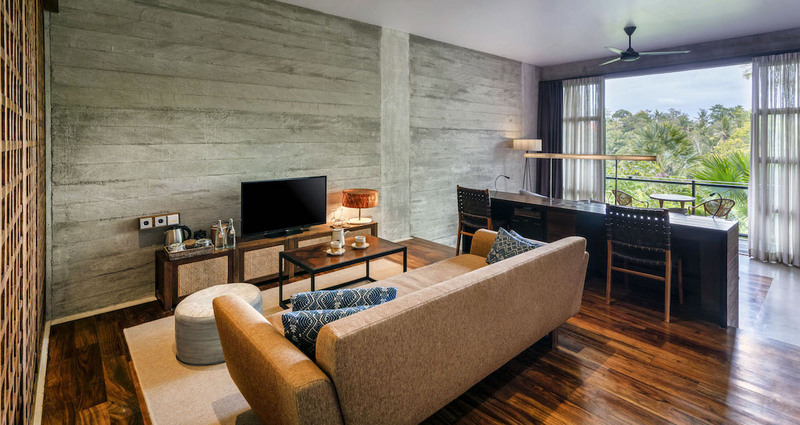 Unwind in the epitome of luxury at Bisma Eight, nestled amongst Ubud’s jungle and only minutes from the centre of town. Comprised of 38 spacious suites, one restaurant, two bars, a cafe and an infinity pool, Bisma Eight has everything you need, all in one place. Rooms are spacious and contemporary with a unique twist- each has a traditional Japanese inspired soaking tub, perfect for an evening pamper session. 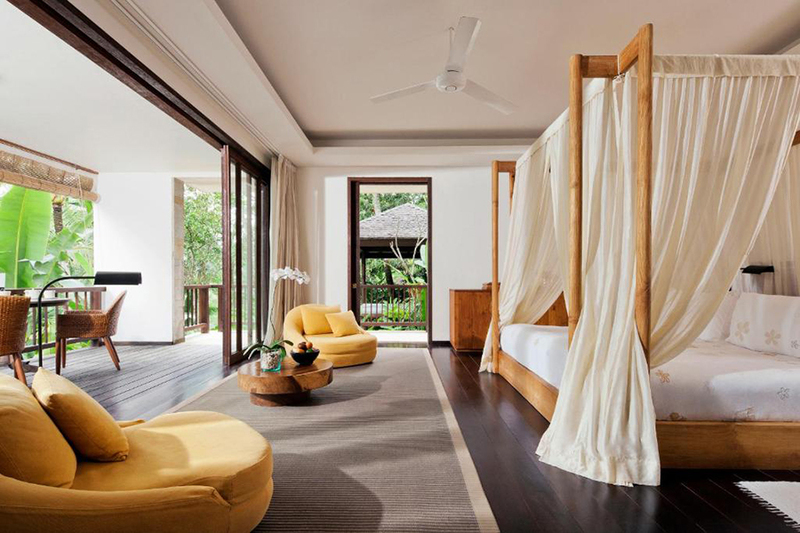 Fitted with parquet flooring, Balinese art and deluxe soft furnishings, these suites create the ultimate dreamy hideout. Stay fit with free daily yoga classes, a weekend Ubud Bike Tour or build upon your knowledge at the on-site library cafe. Copper Kitchen, Bar & Rooftop serves up the freshest flavours with a fully stocked rooftop herb garden, fresh from garden to table. 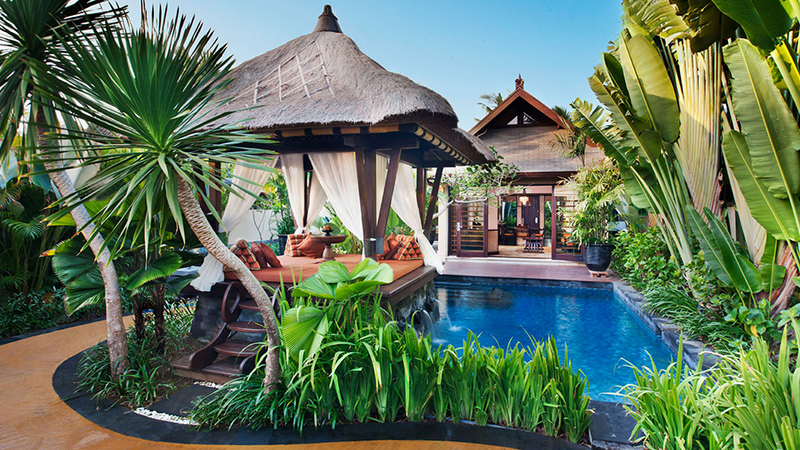 Prices for this luxury hotel in Bali start at US $236++ per night for a Garden Suite for 2 people. Click for best available prices. Nestled directly on the oceanfront, this luxury all-villa resort gives its guests direct access to a beautiful white-sandy beach. Four Seasons Resort Bali at Jimbaran Bay is designed as a traditional Balinese village with lush flower fields and ethereal Balinese temples as its backdrop. 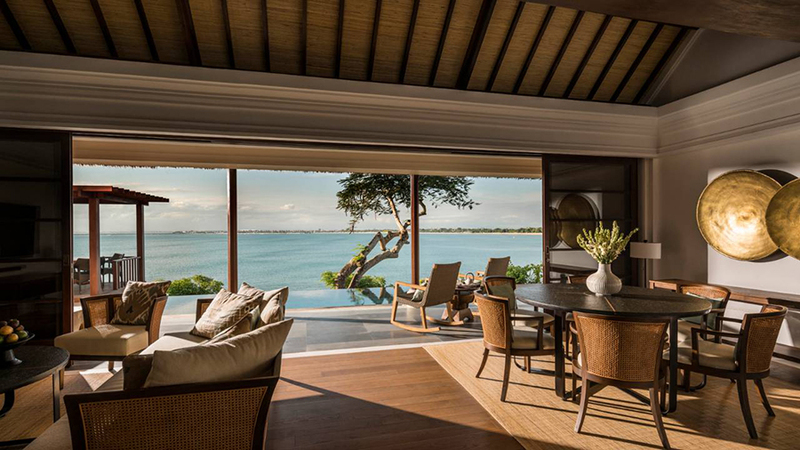 Each spacious villa has a private outdoor infinity pool with stunning views of the Indian Ocean. Find yourself relaxing immediately as you walk through the luxury Bali resort’s lush tropical gardens, and unwind further with holistic spa treatments that are offered on-site in one of the eight luxurious treatment rooms or three spacious spa suites. Four Seasons Resort Bali at Jimbaran Bay’s timeless, traditional and romantic atmosphere will make you want to stay forever. Prices for this luxury hotel in Bali start at US $753++ per night for a 1-bedroom villa, US $1,526++ per night for a 2-bedroom villa, US $1,841++ per night for a 3-bedroom villa, and US $2,224++ per night for a 4-bedroom villa. Click for best available prices. 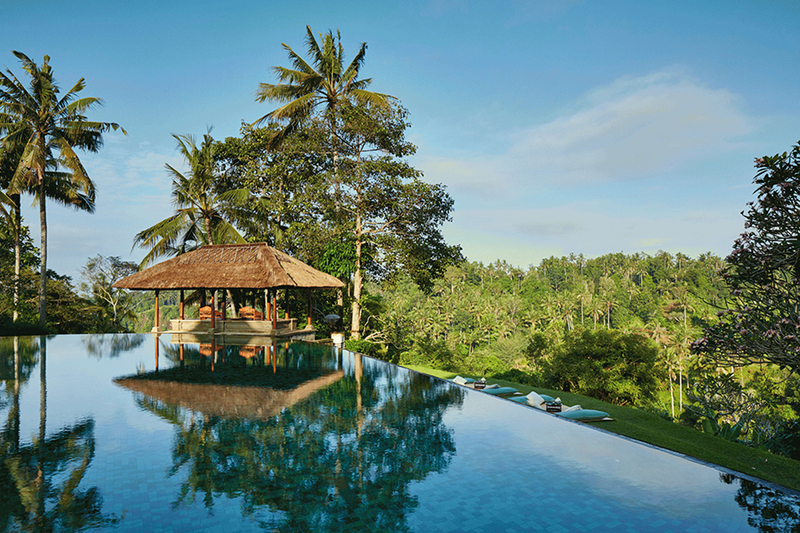 Stunning Mandapa, A Ritz Carlton Reserve, is located in the rolling hills of Ubud among peaceful rice fields and ancient temples by the Ayung River. Combining the magic and beauty of Bali with the serenity and seclusion of the luxury Bali hotel’s location, Mandapa exercises spiritual and cultural richness in all levels of its hospitality, providing guests with an escape from their every day, guiding them to fully immerse in the stunning intimate Mandapa’s luxurious surroundings. 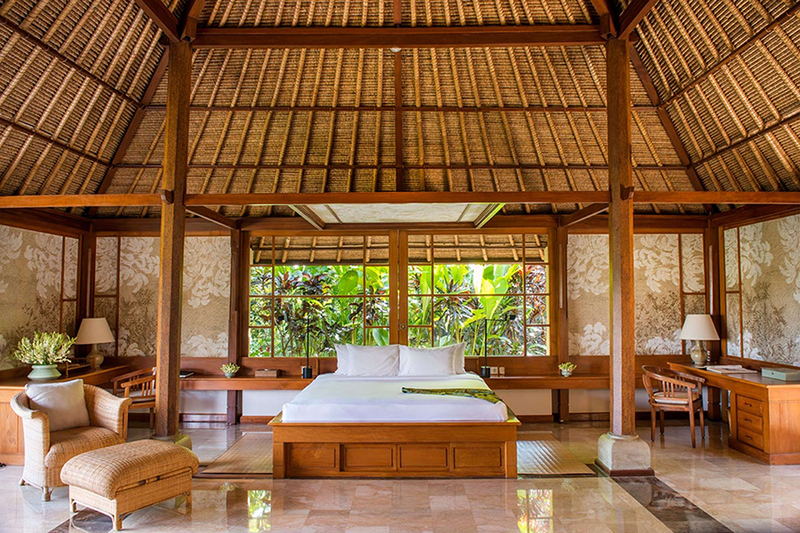 Whether practicing yoga in a peaceful pavilion, biking through nearby villages, experiencing the local Balinese cuisine, or surrendering to pure bliss at the hands of an experienced spa therapist, your stay at Mandapa will awaken the spirit and provide rich, meaningful memories to last a lifetime. When it’s time to retreat to your one, two, or three-bedroom private villa, you can guarantee a comfortable sleep among lavish interiors and furnishings. Relax in your living room before taking a bath in the elegantly designed bathroom then head to your private outdoor area with views of the verdant rice paddies or Ayung River, and large private swimming pool. 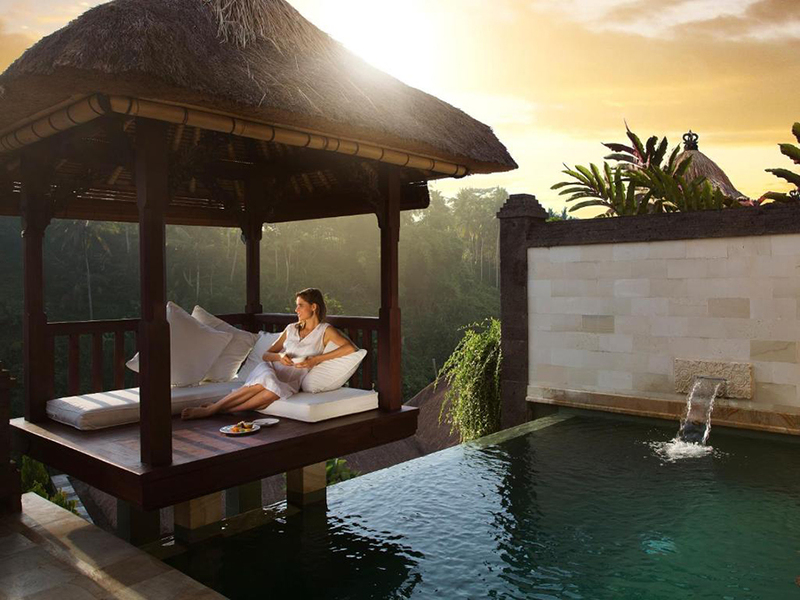 Located in the highlands of Ubud, the stunning 5-star Viceroy Resort offers superb privacy and stunning uninterrupted jungle valley views in a luxurious setting. Experience one of the best luxury hotels in Bali with uncompromised comfort in one of Viceroy Resort’s private One or Two Bedroom Villas. Each villa features a heated pool, elegantly designed marble bathroom, air-conditioning, modern amenities, and a spacious living area. Make sure to book in a dining experience at CasCades restaurant, one of Bali’s top dining venues with an extensive fine dining menu of classic European and uniquely Indonesian dishes. With beautiful lush jungle views, you will feel like you are sitting on the edge of the world! Prices for this luxury hotel in Bali start at US $500++ per night for a 1-bedroom suite, US $645++ per night for a 1-bedroom villa, and US $1,250++ per night for a 2-bedroom villa. Click for best available prices. Ubud’s Amandari Resort sits perched on sacred grounds overlooking the stunning Ayung River, cascading rice paddies, and Hindu shrines. It was designed in the style of a traditional Balinese village, local artisans have hand-carved the elaborate stone walls around the resort’s entrance pavilion paying homage to Amandari’s grounding connection to its rich cultural surroundings and the soil it was built on. Adorned with coconut and teak wood accents throughout, this luxury Bali resort offers single storey and duplex suites opening out onto a backdrop of a valley or rice terrace views, and a private plunge or infinity pool. Slip into ultimate relaxation mode in one of Amandari’s Villas while you take in panoramic views of lush forest and rice paddies from your private sunken outdoor bath. After relaxing and indulging in the resort’s facilities try your hand at a game of tennis or take a walk around the stunning Amandari grounds for an immersive escape. Prices for this luxury hotel in Bali start at US $700++ per night for a 1-bedroom suite, US $2,100++ per night for a 2-bedroom villa, and US $4,250++ per night for a 3-bedroom villa. Click for best available prices. 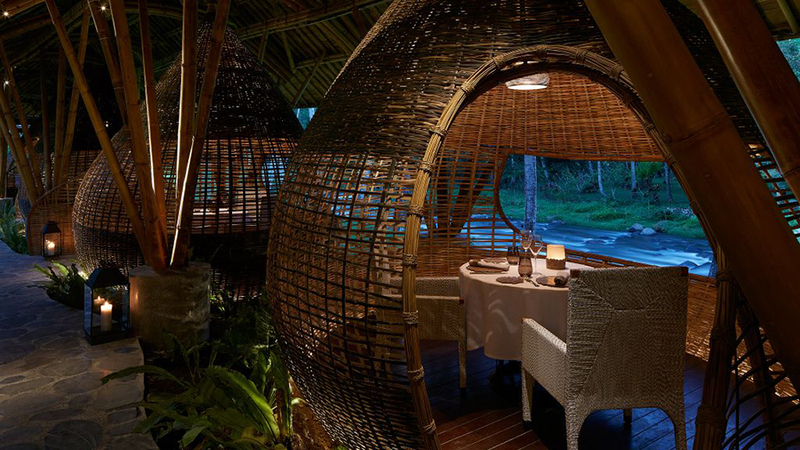 Experience the lush paradise cocooned beside the Ayung River that Four Seasons Resort Bali at Sayan which is one of the best luxury hotels in Bali. The five-star luxury resort is located only minutes away from the cultural heart of Ubud and surrounded by luscious greenery. Nurture your soul with yoga and meditation atop the palm trees of Bali in the resort’s lotus petal Dharma Shanti Bale. If you’re looking for a more unique experience why not savor the simplicity of life by planting rice with local farmers? 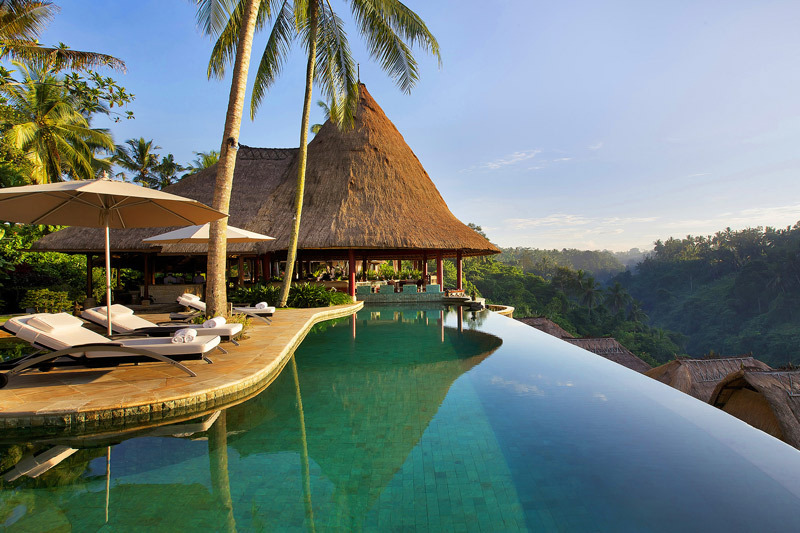 Four Seasons Resort Bali at Sayan is suitable for all ages and all occasions with an on-site kids’ club and services to help you tie the knot in a tropical haven. 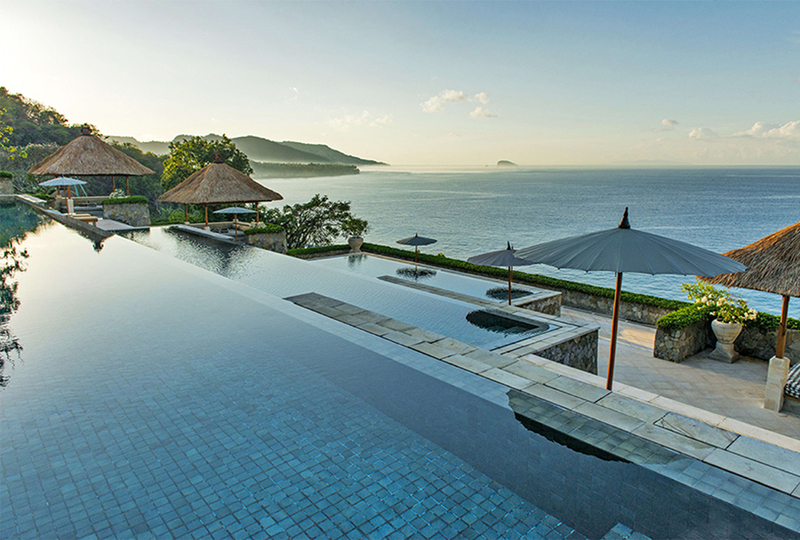 COMO Shambhala Estate can’t be missing from our ultimate list of the best luxury hotels in Bali! COMO Shambala Estate is a residential health retreat combining holistic wellness with state-of-the-art facilities and outstanding accommodation. Its unique location is surrounded by lush jungle greenery offering complete seclusion and serenity in the north of Ubud. 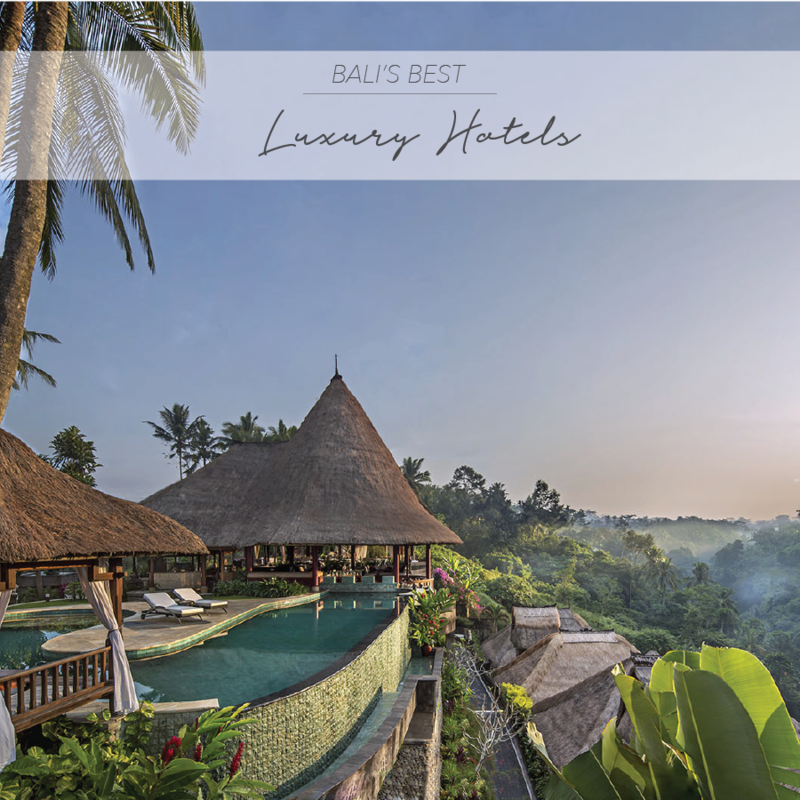 The luxury Bali resort is the perfect retreat option for guests looking to experience world-class guidance in health and wellness that will last well beyond their stay, without compromising the indulgence of modern comfort and luxury. Prices for this luxury hotel in Bali start at US $700++ per night for a 1-bedroom suite, US $1,150++ per night for a 2-bedroom villa, US $1,700++ per night for a 3-bedroom villa, and US $3,150++ per night for the COMO 2-bedroom suite. Click for best available prices. 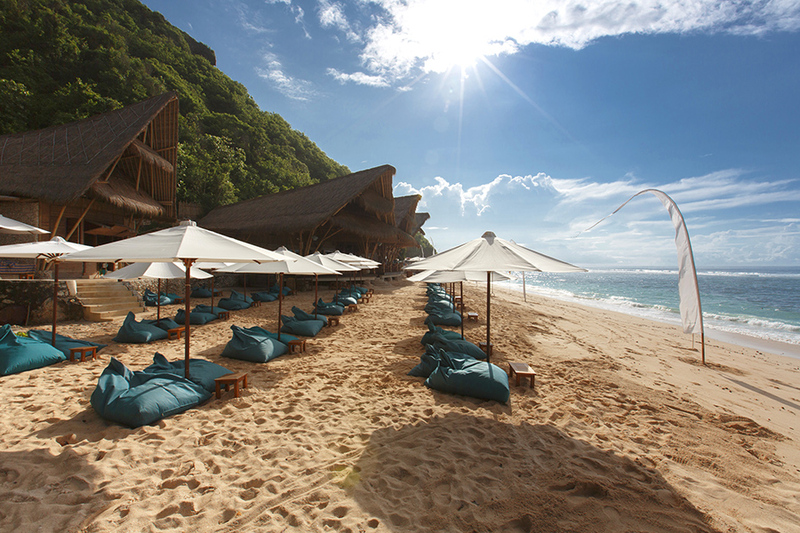 Amankila is one of the best luxury hotels in Bali and a tranquil beachside haven on Bali’s remote east coast. The luxury Bali resort is set against the dramatic backdrop of distant volcano Mount Agung and is enveloped by lush vegetation. 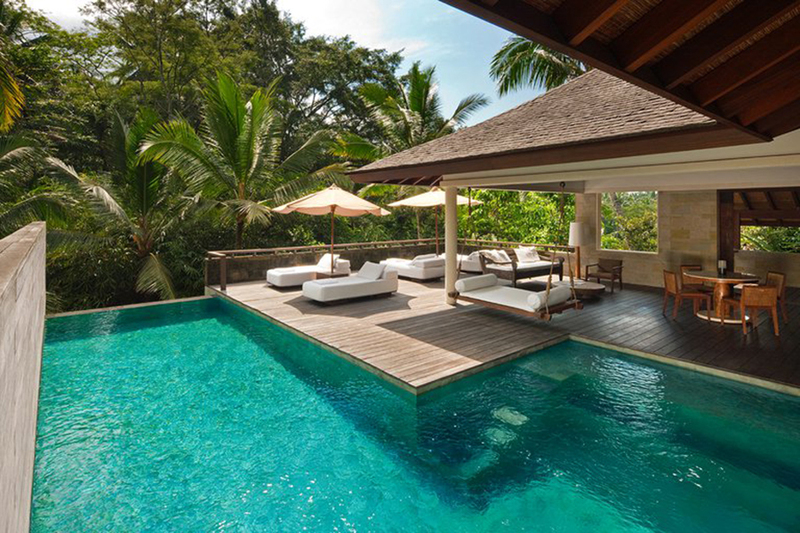 Amankila ’s layout takes inspiration from the nearby Karangasem palaces and features a serene three-tiered pool which cascades down the hillside like the traditional rice fields of Bali. 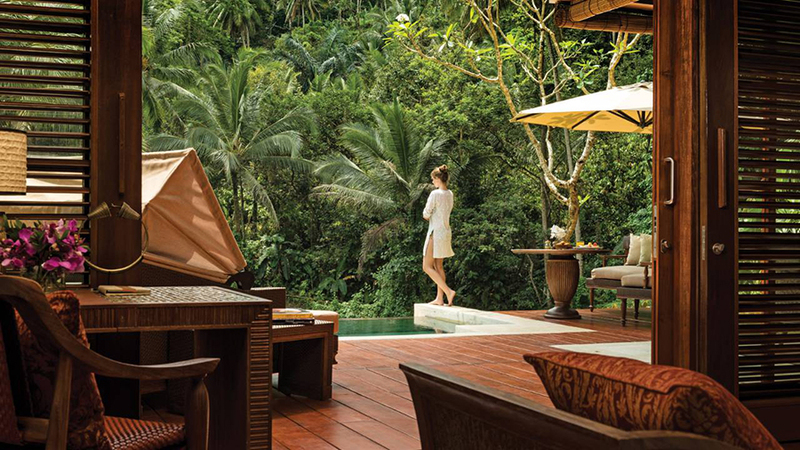 Amankila’s Suites, cradled by lush hillsides, float among the treetops and are accessed by elevated platforms lined with frangipani trees. 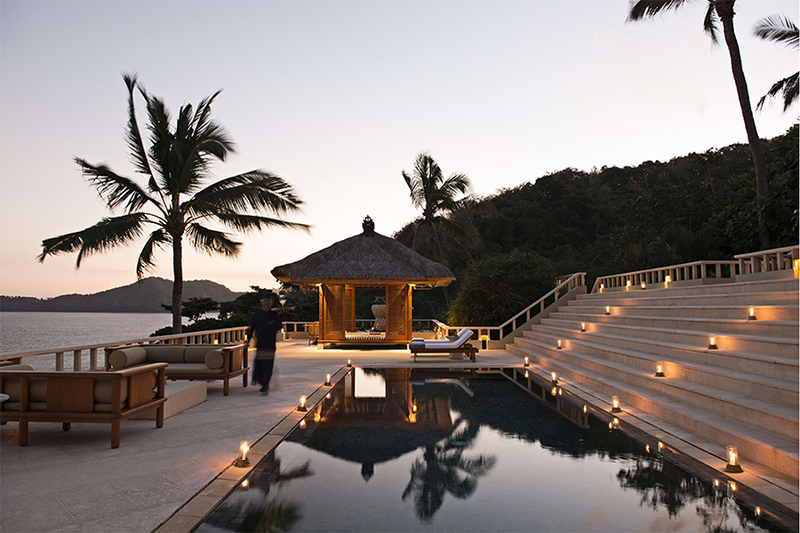 The interior is comprised of coconut wood and luxurious furniture inlaid with pearl to complement the thatched roofs and sea views. Make sure to experience the culinary feast at Amankila’s ocean-view restaurant which focuses on using only the best locally sourced ingredients. Prices for this luxury hotel in Bali start at US $900++ per night for a 1-bedroom suite, and US $3,200++ per night for a 2-bedroom suite. Click for best available prices. Book one of the best luxury hotels in Bali with The Asia Collective and receive our exclusive dining guide HUNGRY IN BALI complimentary. Discover the 60 best restaurants, cafés, sunset bars, beach clubs & spas that invite you for 2-for-1 main dishes, up to 30% off your bill or complimentary starters, desserts & drinks for the ultimate culinary Bali experience. Keen to get your HUNGRY IN BALI book straight away? You can shop our Ultimate Dining Guide here.